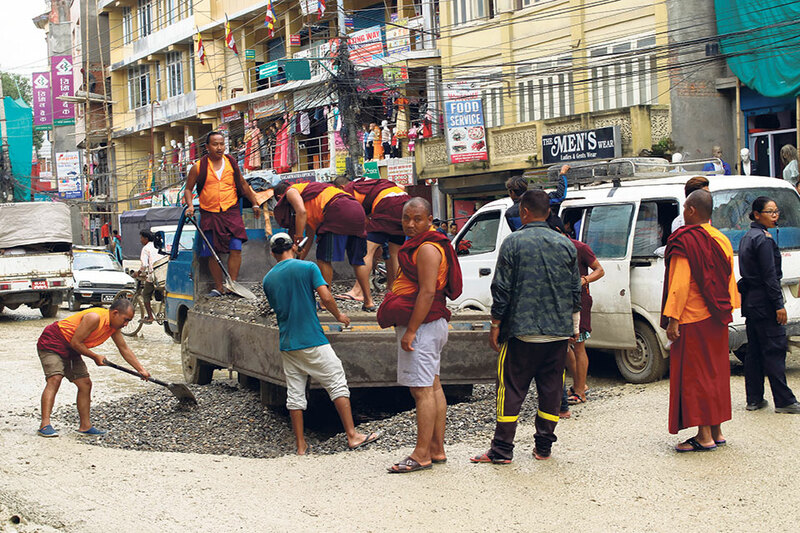 KATHMANDU, Aug 5: Monks of Bauddha-Melamchi Ghyang Guthi have taken the initiative to fill the potholes along the Bauddha-Jorpati road section. As many as 30 monks from the monastery started filling gravels in the damaged road section between Tusal and Pipalbot from Wednesday. 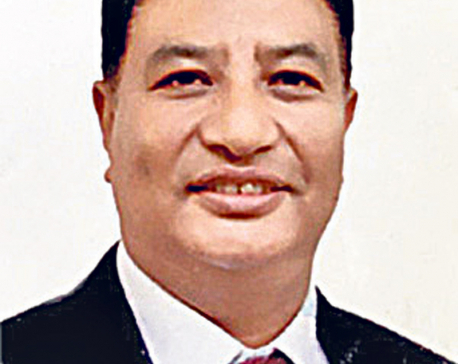 Bishwo Kumar Lama, secretary of the monastery, informed Republica that the potholes were filled with gravels with the help of religious leader Bhupati Chiniya Bajra Lama. Secretary Lama informed that Lamas were compelled to fill the death traps as the government remained negligent towards the safety of the locals as well as tourists travelling through the road section for years. After failing to draw government's attention despite making several efforts, the monks decided to repair the road on their own, informed Sange Dorje Singtan Lama, in-charge of the monks. The monks continued their work from 12 noon till 5 in the afternoon. As the government could not repair the road since a long time, the locals have started saying that it is meaningless to wait for the government for any kinds of help. The damaged road has cost a lot for his business, complained a local shopkeeper Abaduk Khalik. The monks are determined to continue the work until August 7. "We did what we could. Now what is left to be done is to lie on the road to draw the attention of the government," said Secretary Lama, adding, "We hardly get to see young students, office workers or any other pedestrians reach their destination without their uniforms getting dirty due to the muddy road." Meanwhile, lauding the work of the monks, the locals have urged others to co-operate with the monks. "The government must learn a lesson from this," said one of the locals. Not just the passengers and pedestrians but even the drivers say that if the government cannot upgrade the road on time, it should at least fill the potholes as that can offer great respite to the people.